Here at MKThink, the impact and benefits of a project can reach far beyond the people that specifically inhabit that space. Innovative projects can reveal what is possible and inspire further boundary-pushing design. In addition, we believe in the power of architecture to unlock life’s potential. Well-designed space can improve health and well being. Further, it conserves resources and operates in harmony with the environment. Currently, there is a global push to achieve net zero waste, energy and water on projects due to the devastating impact human resource consumption is having on the planet. Building codes, which are implemented with good intention, can at times withhold innovation that lets us achieve net zero standards. Specifically, there are restrictive building codes related to water reuse and capture mainly due to health concerns. For example, it is generally prohibited to have a water system in a building that takes black water from a toilet, treats it, and then distributes it as drinking water. A few recent entities have aimed at tackling regulatory restrictions that prohibit net zero water projects. The Hawaii Preparatory Academy Energy Lab had the goal of achieving net zero water to encourage the community to think progressively about water security. Though regulators were initially resistant to change the existing code for such a small project, ultimately, the project succeeded in permitting a catchment facility for their rainwater and a three-part septic facility to process their grey and black water. Although it is a small project, it has helped pave the way for other projects to achieve net zero water in Hawaii. Last May, I attended the International Living Future Institute’s yearly conference to learn about progressive approaches in the field of sustainable design and building policy. I was intrigued by the City of Santa Monica’s goal to implement the first Living Building Challenge certified municipal building. Not only was the project meant to be progressive from a technical perspective, but the project also aimed at tackling policy restrictions related to net zero water that would create a pathway for other projects. 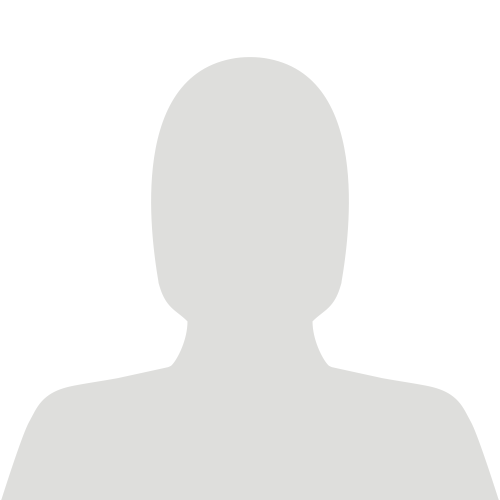 At the time, I was particularly inspired by the project since I was working at the City of Berkeley’s Office of Energy and Sustainable Development creating a building code. As I mentioned previously, there are often significant restrictions to achieving net zero water due to safety and health concerns. The City of Santa Monica project was designed to tackle some of these prohibitive restrictions head on. It aimed to implement the first composting toilets in California, the first rainwater to potable system in California, and a greywater edible landscape, among other systems. Restrictions that would inhibit the successful realization of these systems existed at both the state and local levels; the project team had to think of a creative approach to understand and challenge these barriers. 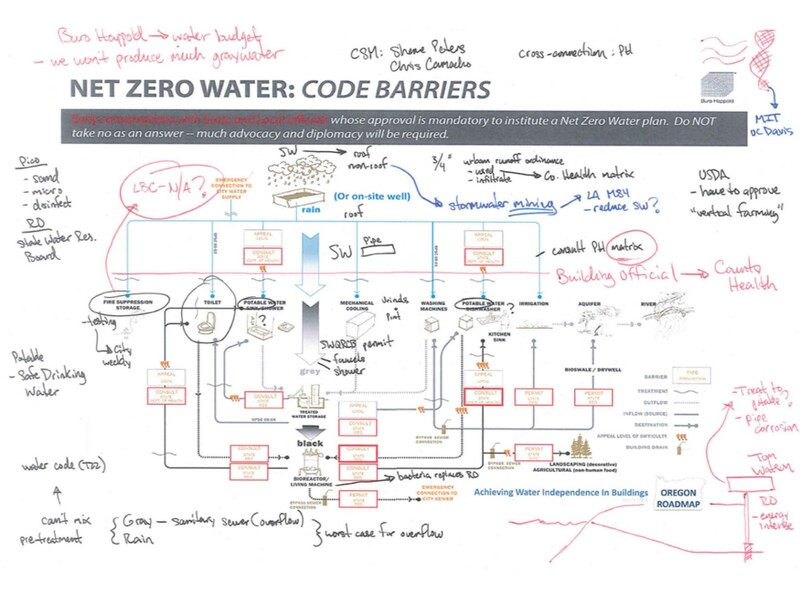 The project team created a flow chart showing an ideal net zero water strategy and circled all the current code barriers that would prohibit implementation. They initiated conversations with state and local officials, whose approval is mandatory to institute a Net Zero Water plan. A significant amount of advocacy and diplomacy was required; the time and money necessary for these efforts were incorporated into the plan. 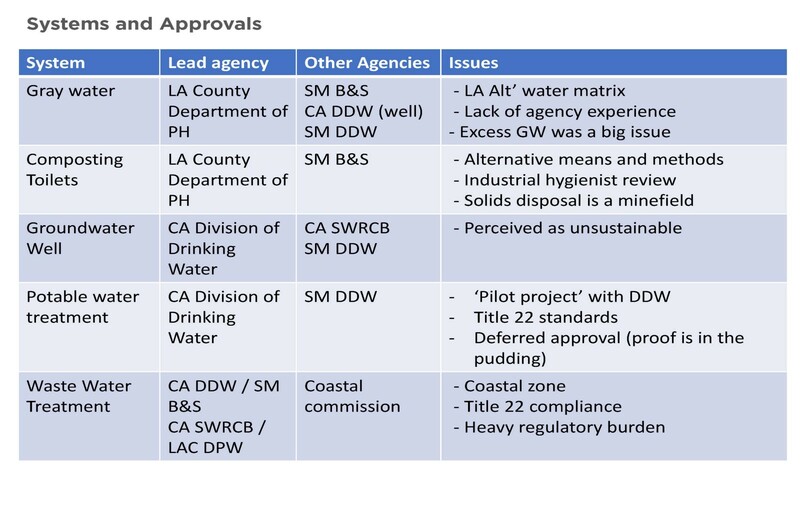 A matrix was then created to keep track of water system issues, along with any relevant codes and agencies that could help address and tackle these issues. This structure helped the project team understand the exact challenges they were facing and the lead agencies that they needed to interact with in order to gain approval for various processes. The project team was generally successful in gaining permitting for aspects of the net zero water system they intended to implement. For example, it will be the first building in Southern California to have a composting toilet system and to make drinking water from rainwater. Although the project team had to sacrifice in some areas in order to alter permitting restrictions, the project as a whole is a precedent for future work. In the future, and as a result of projects like the City of Santa Monica’s, innovative solutions will become more commonplace, requiring less time and money to implement a net zero water strategy. In that light, the City of Santa Monica Living Building Challenge project is a prime example of creating an impact that reaches well beyond the project boundaries.